Are you ready for something new? Tired of poor performance? Want to save time? Then get started! 3x ETF, Post IPO Base, and Stock Trades for both Bull and Bear Cycles plus Market Forecast Models! Base Patterns are one of the big keys to #swingtrading success in the markets. Let the base play out before entering. Avoid dead money, grab the breakout and sell 1/2 on the way up. If the pattern breaks your stop is set where the pattern breaks down. 12-13% gainer, on Feb 2019 Base Pattern Swing Trade ENPH: Breakout after base pattern accumulation, we then sell 1/2 for gains and raise the stop and hold the remainder. When do I buy? When do I sell? Is the stock about to reverse up or down? What should I buy? What should I avoid? Do I take profits, or let it ride? Should I buy more or take a loss? Which sectors should I be invested in? Which sectors should I avoid? Where is the market going? What should my cash position size be? We handle all of those worries for you daily… our Market Forecast models are stunning in their accuracy weeks in advance of tops and bottoms. When you combine our market roadmaps with our individual fundamental and technical analysis on our swing trades, its an amazing profit making combination! 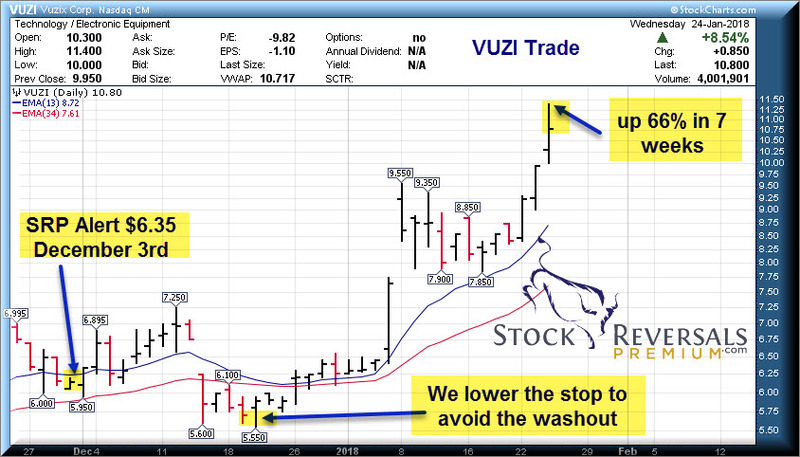 3x ETF and Stock Trades for both Bull and Bear Cycles plus Market Forecast Models! Morning pre market reports daily, SMS Text and Email for all buy and sell alerts, research on every position, charts updated regularly, guidance and education included! Stunningly accurate SP 500, Gold and Biotech Forecast models giving you major turns in advance! 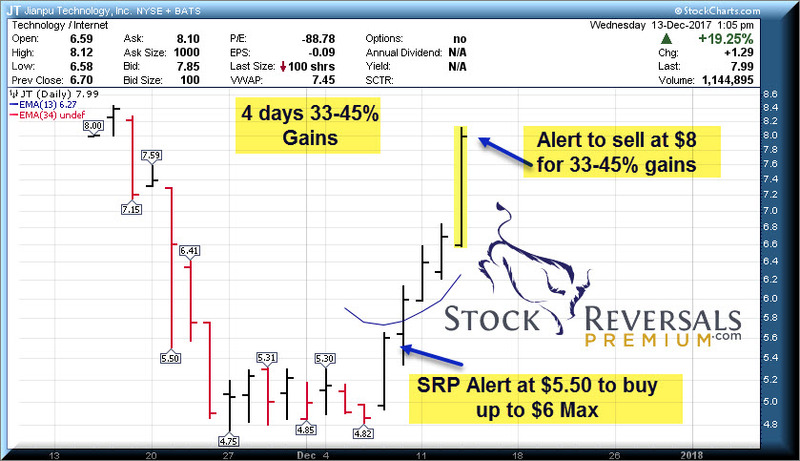 SRP Members love the Morning Pre Market Report! Every day we update positions, strategies, and market forecast models with advice to start your day! 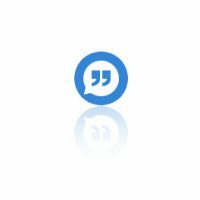 SP 500, Gold, Biotech and more covered plus specific position notes and advice. 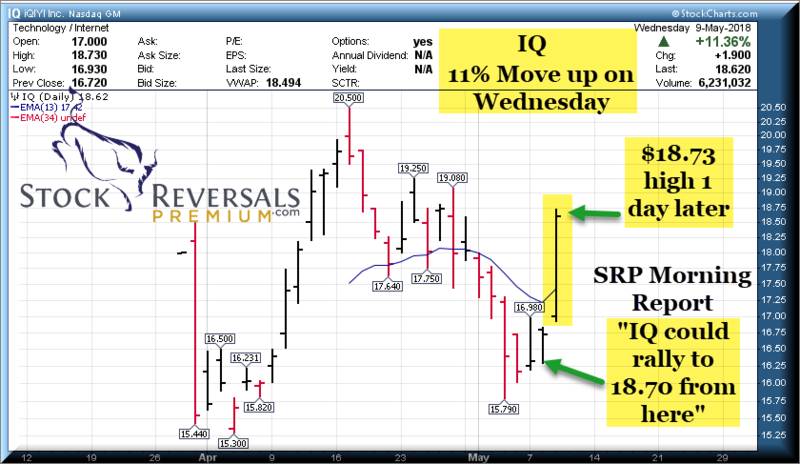 Recent Morning Report advisory on IQ was to look to buy in 16.30’s for an 18.70 target. 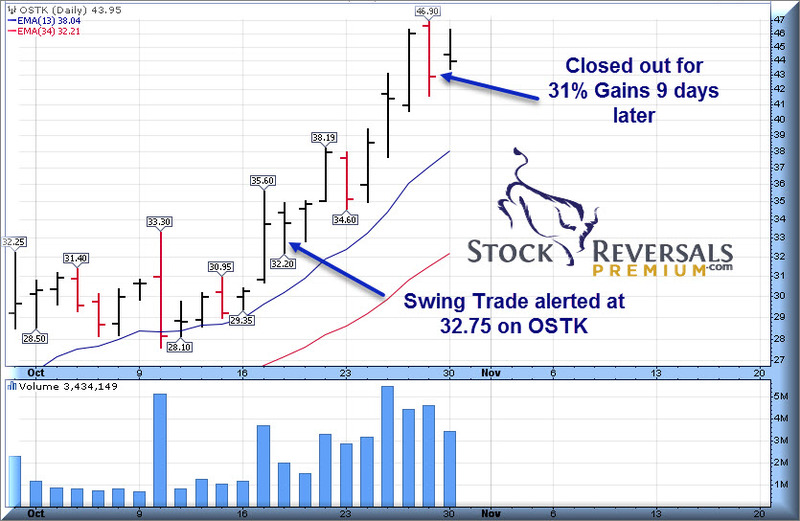 The stock had pulled back hard over the prior week. Instead of stopping out, we HELPED out! 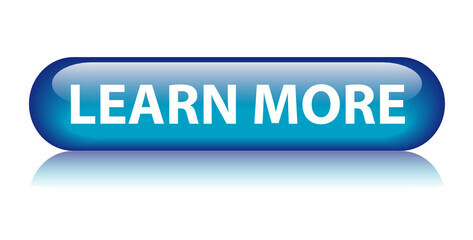 Over 59,000 Active Traders follow us on Stocktwits.com, join here to find out why and profit! It’s the second month since I joined your service and I really have no words for the quality and the great results of your research!My account has already increased but the important thing is how smoothly and with no stress at all this has been achieved!I consider myself a lifetime member and I will soon update to a yearly membership! I will definitely dedicate much more money to your recommendations because the quality is more than obvious and especially this week was awesome!! Just wanted to thank you for what you are doing! 1st quarter 2017 31 Winners and only 7 losers. An 81% win rate for our members!